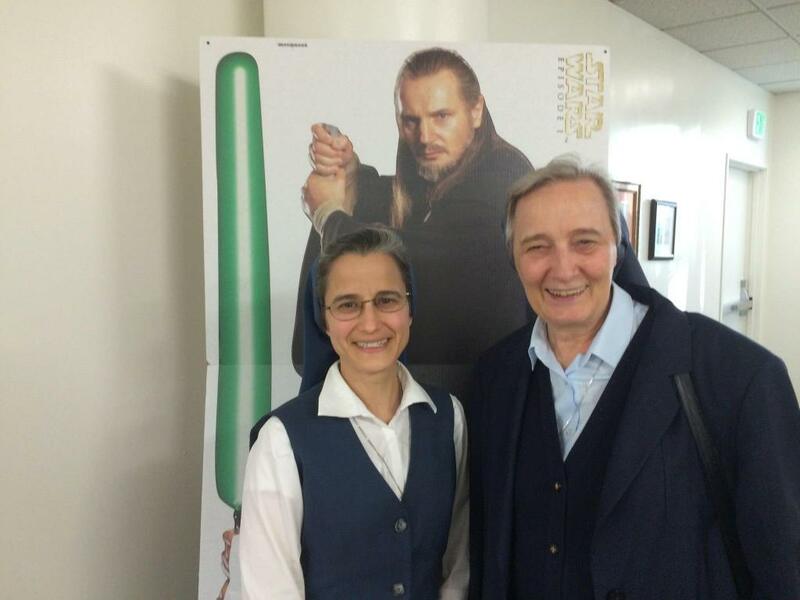 Throughout the month of October, the Superior General of the Daughters of St. Paul, Sr, Ana Maria Parenzan, FSP visited the USA Province of the Daughters of St. Paul. 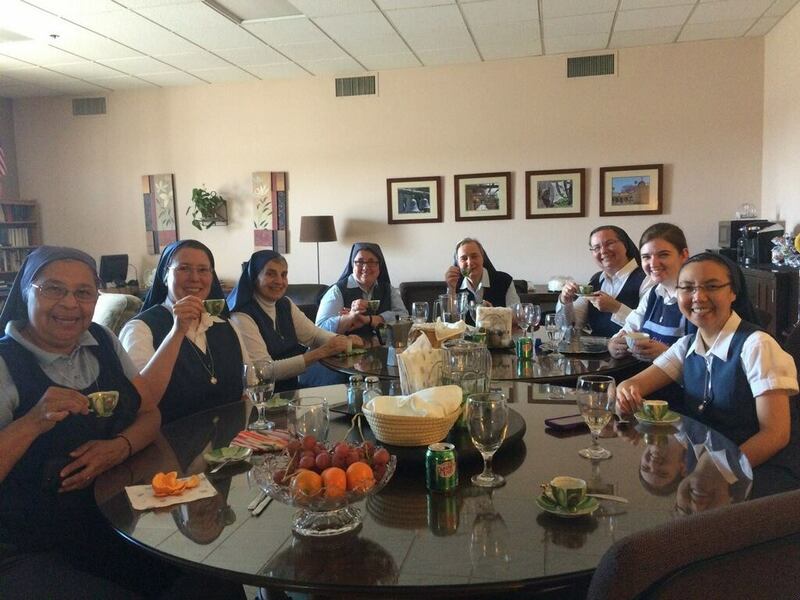 Jennifer Prudencio of yHope had the chance to sit down with Sr. Carmen Christi Pompei, who accompanied Sr. Ana Maria to each location, to learn a little about the significance of the visit. Below is the text of the interview. 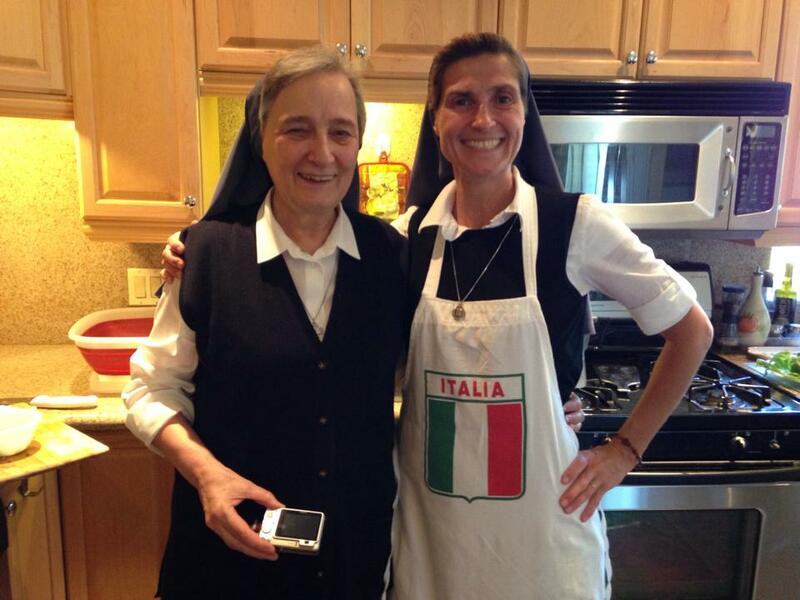 Sr. Ana Maria Perazan with Sr. Carmen Christi Pompei. 1. Who is the Superior? Can you tell me a little about her? 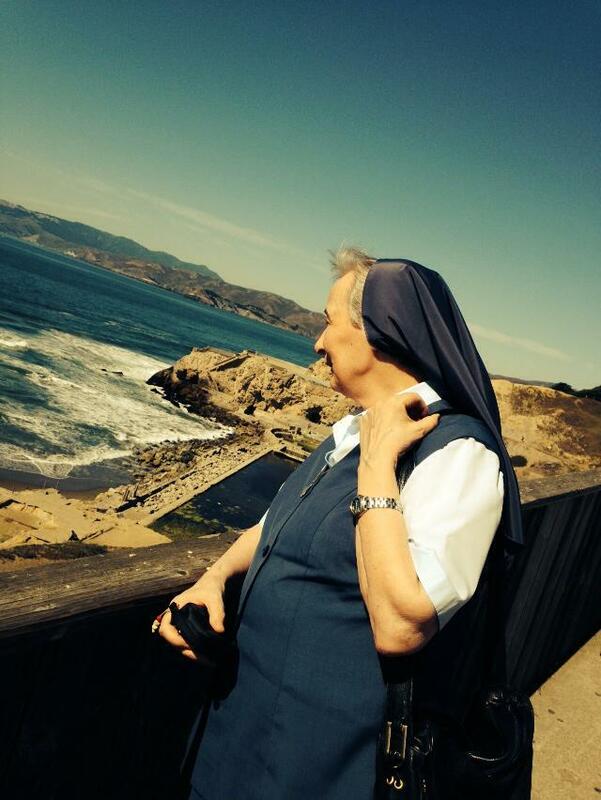 The Superior General is Sr. Ana Maria Parenzan. She was elected Mother General about a year ago. She has a 6-year term and part of her role is to visit all the sisters of the congregation around the world, known as general visitation. 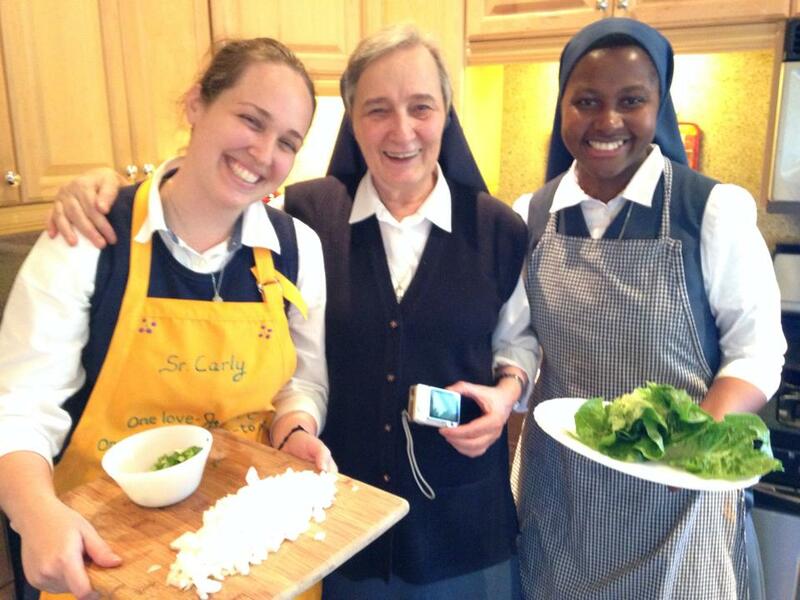 Sr. Ana Maria Perazan with the novice Sr. Carly (left) and Sr. Neville (right). 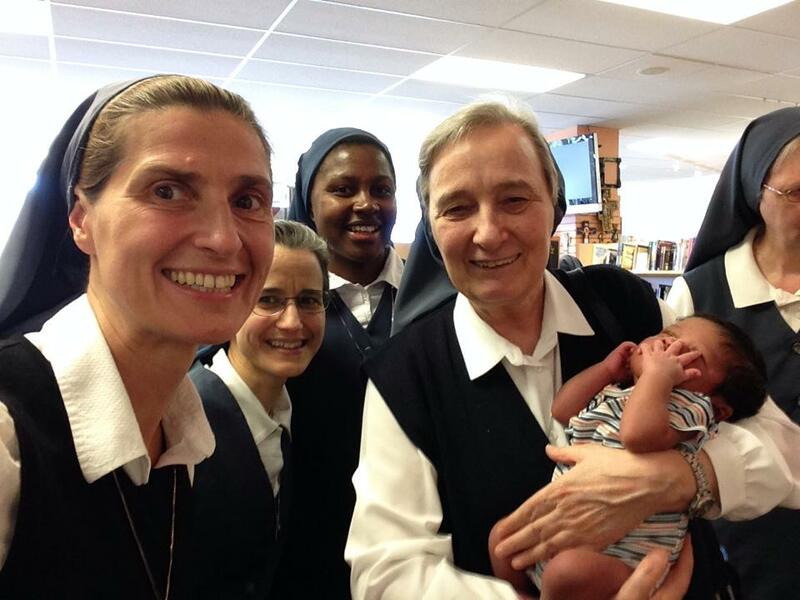 Sr. Ana Maria Perazan (holding a baby) with Sr. Nancy, Sr. Carmen and Sr. Neville. 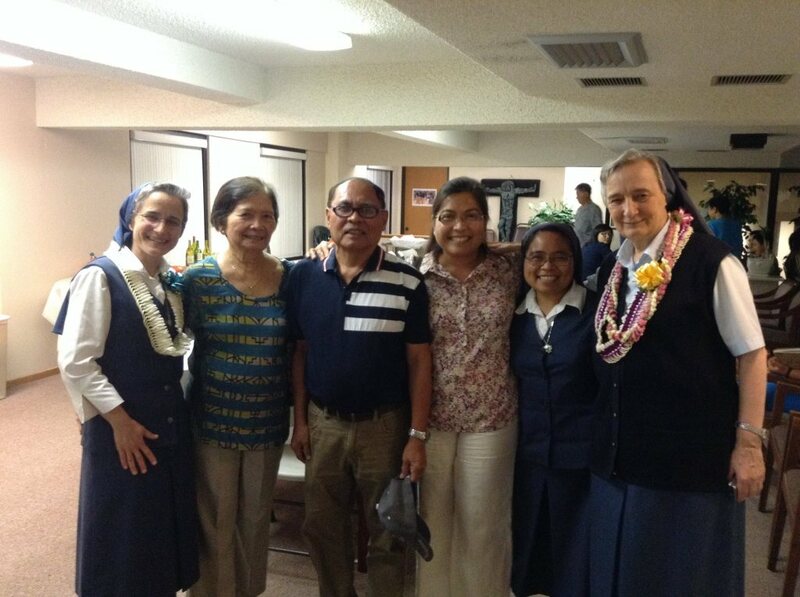 Sr. Ana Maria with Sr. Carmen Christi, Sr. Mary Joane and three friends from Hawaii. 2. What was the purpose of her visit? As previously stated, it is part of her mandate to visit all the sisters of the congregation during her term. The purpose of her visit is to strengthen the bond of the sisters within the congregation, and build on the unity of the sisters. During her visit, she spoke with each sister individually; she helped the sisters feel more connected to sisters around the world by sharing stories of other Daughters of St. Paul she has visited in other parts of the world. She showed a powerpoint with pictures of sisters in various countries such as India and Pakistan, showing how the charism is carried out by these sisters who are suffering in other countries because of deep poverty and/or persecution. In some places like Pakistan, sisters have risked their own lives in order to bring bibles to brothers and sisters in this country. 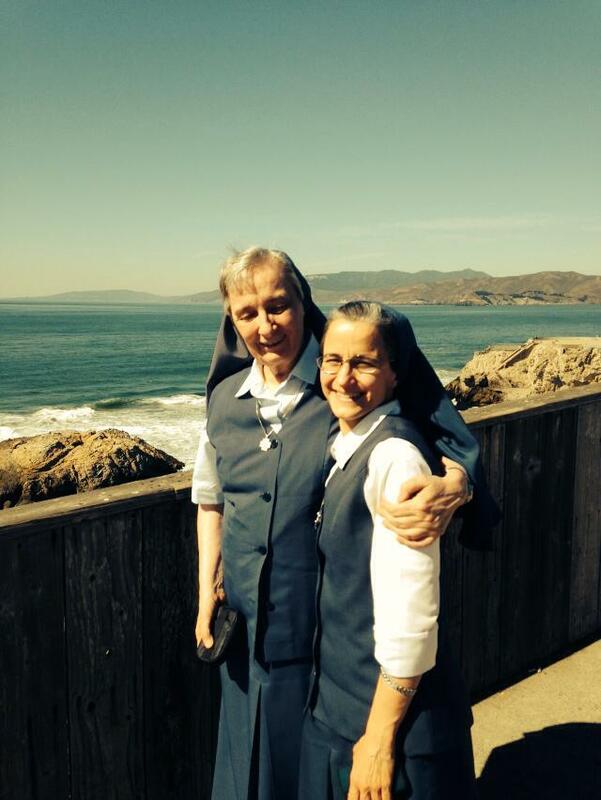 Sr. Ana Maria with Sr. Nancy in Redwood, California. 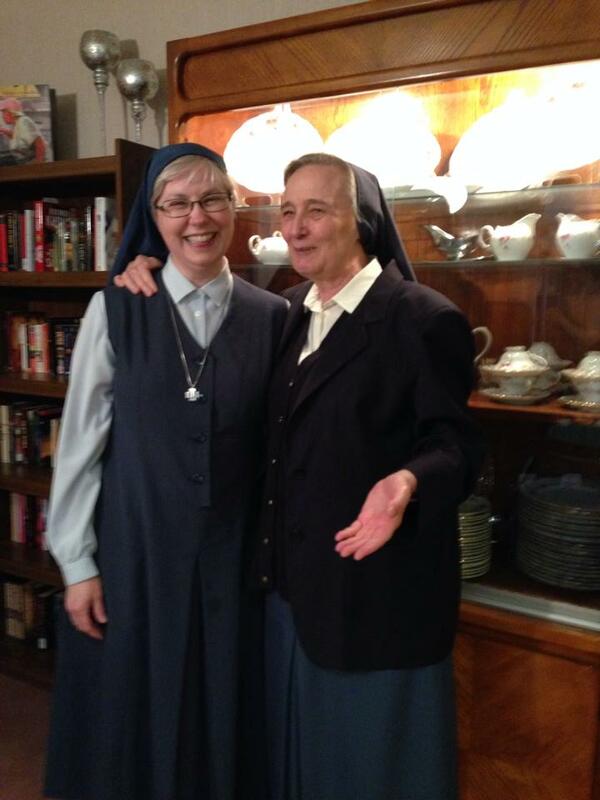 Sr. Ana Maria with Sr. Julia Mary in New Orleans. 3. How was the visit? Where did she go? The Superior General landed in Boston and after vising the Daughters in Boston, she traveled to the following cities: Redwood City, CA, Honolulu, HI, Los Angeles, CA, Toronto (Canada), New Orleans, LA, Chicago, IL, St. Louis, MI, Charleston, SC, Alexandria, VA, New York City, and back to Boston. 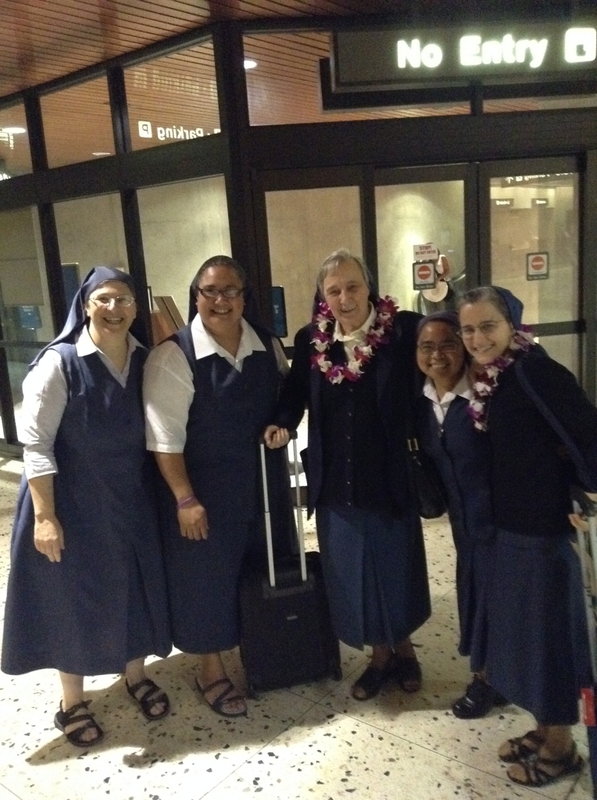 Sr. Anna Maria and Sr. Carmen Christi being welcomed by our Sisters in Honolulu with the traditional Hawaiian leis. 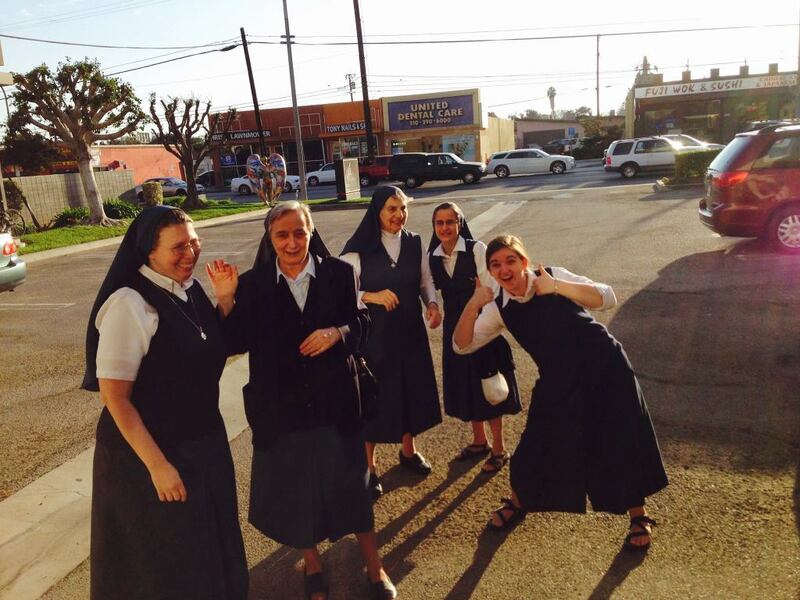 Sr. Ana Maria with the Daughters community in Los Angeles. 4.What did the visit mean to you? Her visit was very special. In each city she visited there was an hour of Adoration in which at the end, she would give that community an oil lamp (candle) she brought from Italy. She referred to the candle as “the light we need to be”. It was really inspiring! 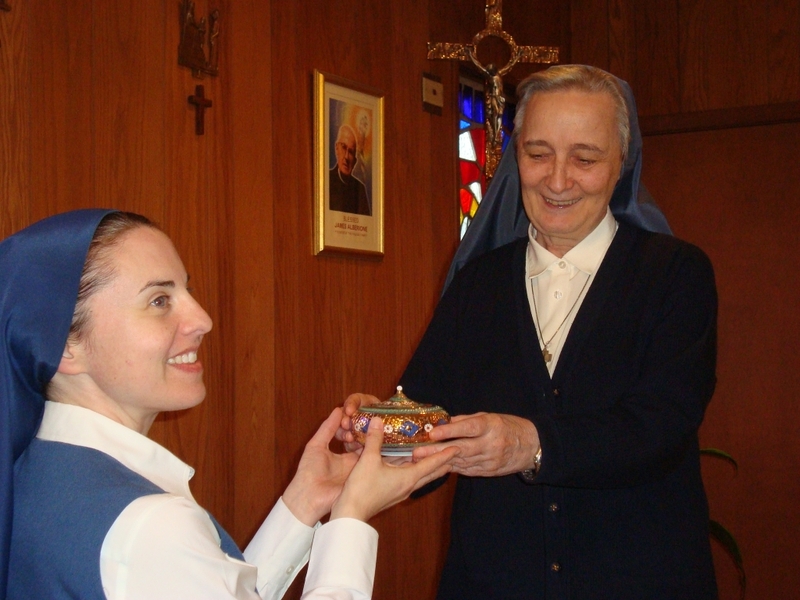 Sr. Anna Maria offering Sr. Tracey, superior of our New Orleans community, the candle, symbol that as Daughters of St. Paul Jesus has called us to be His light to the world through our consecrated life and through our mission, sharing with all people the charity of the Truth. This year we are beginning our centenary of the Daughters of St. Paul; it’s neat that her visit was right before; it is a celebration of what God has done for us. Her visit was a reminder of the truth of what we are and what we are called to be. It was a reminder that we are united with over 2,000 sisters over 50 countries; we are not alone! 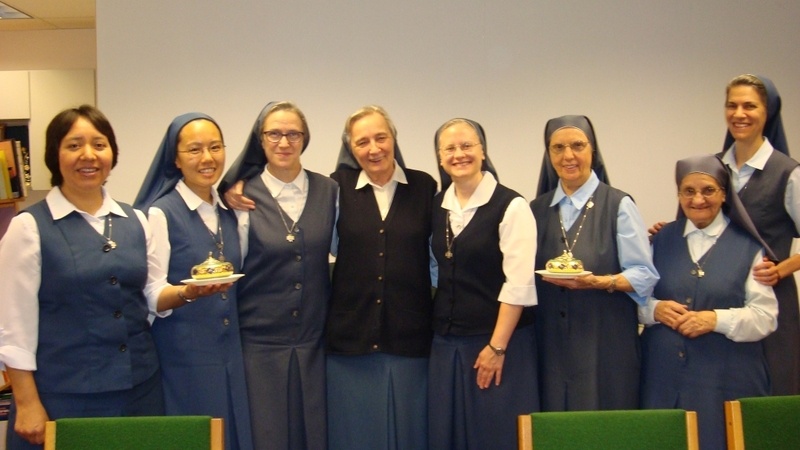 Sr. Anna Maria and the Sisters of our St. Louis and San Antonio communities, holding the lamp they received, symbol of our call to be the light of Christ to the people whom we serve. 5.What was the theme of the visit? The theme of the visit was: Apostolic Mysticism. It refers to our call to be contemplative in our actions and active in our contemplation. We were reminded to let Christ live in us, and if he is living in us, it will reflect on our works, and therefore we will be living our mission in union. Sr. Ana Maria and Sr. Nancy working in the kitchen. 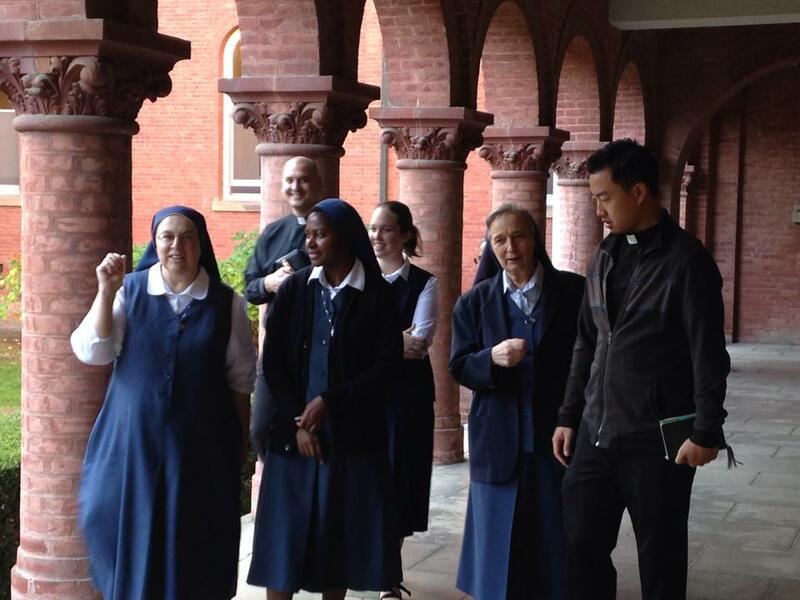 Sr. Ana Maria visiting St. Patrick’s Seminary in Menlo Park, California. 6. What was a special moment for the Mother General? She was very touched by the great love of the sisters for the vocation and their love for the missing. She was also touched by the dedication of the sisters to continuously seek to be more creative. Each city is so different and she was impressed by the sisters’ creativity to adapt to each city. 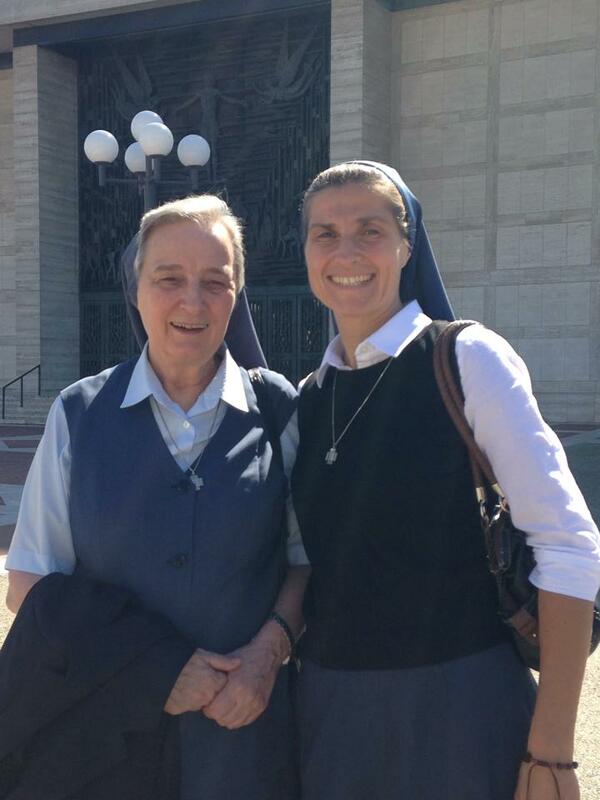 Sr. Ana Maria and Sr. Carmen Christi arriving to the community in Los Angeles. 7. Did she meet any of the Bishops? Yes, she met with every Bishop except the one from Toronto. When she visited Toronto it was their Thanksgiving and she was not able to meet with the Bishop. 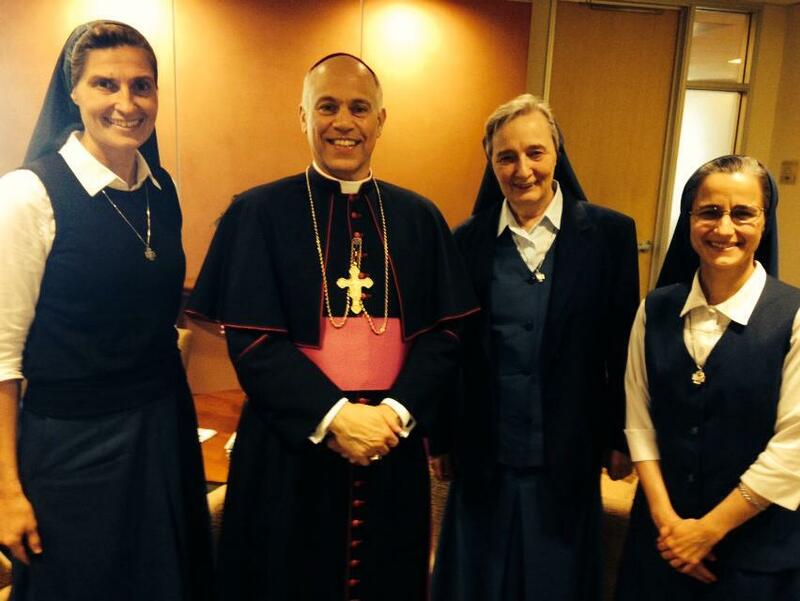 Sr. Ana Maria with Sr. Nancy Michael (left), Sr. Carmen Christi (right), and the Archbishop of San Francisco, Salvatore Cordileone. 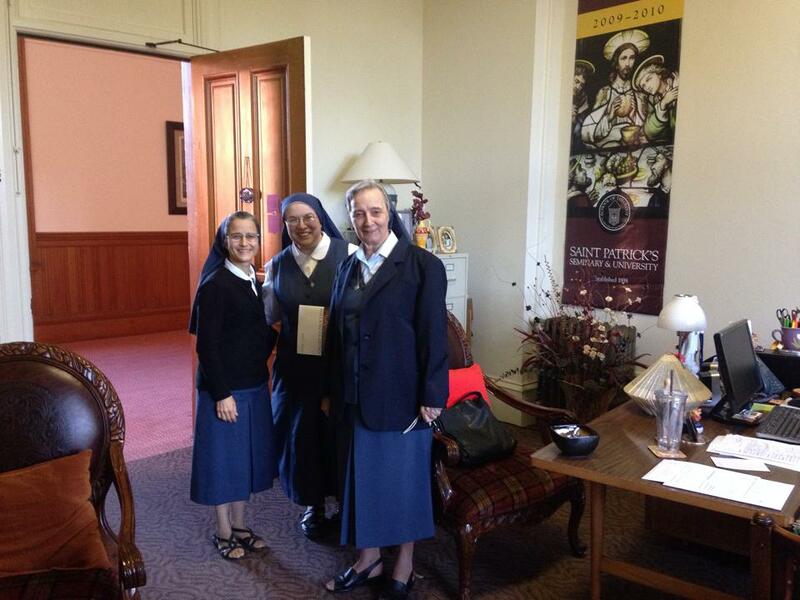 Sr. Ana Maria and Sr. Carmen Christi visiting Sr. Armanda Santos in her office at St. Patrick’s Seminary in Menlo Park, California.